Day 1 - Israel here we come!! Meeting families and making memories that last a Lifetime. Hassle free. No hidden clauses. On this most comprehensive winter family tour offered in North America, you’ll be amazed, delighted and intrigued as each day unfolds. Meticulous planning by our team of experts insures a perfect blend of history, archaeology, adventure, action and just pure fun! Join us for a life-altering experience you will never forget. Meet your trip companions at the airport as we begin our unforgettable journey this winter. Welcome to Israel! our representative will meet you at Ben- Gurion Airport to facilitate your customs clearance, and join you on the deluxe tour bus to Carlton Hotel in Tel Aviv, Israel’s most cosmopolitan city. Take some time to refresh after the flight or walk along the promenade, enjoying the Mediterranean Sea breeze and feeling the city’s vibe. Evening: Meet your guide and enjoy the welcome delicious dinner at Carlton hotel. Overnight: Carlton Hotel, Tel- Aviv. After enjoying a delicious buffet breakfast at the hotel, drive to Machon Ayalon, a secretive bullet factory established by the Haganah underground movement in 1945. As the largest bullet factory during that time, it produced 2.23 million bullets between 1946- 1948, while keeping the secret from the ruling British military. Drive to Caesarea, the “Dream by the Sea” constructed by Herod the Great between 22 and 10 BC and named after Caesar Augustus. Enjoy a tour of the rich remains spanning from the time of the Romans to the Islamic period: the 2,000-year-old Roman amphitheatre, the Crusader harbour, and Herod’s palace– all will be brought to life in a brand new multi-media show dedicated to the events and personalities who shaped this seaside wonder. Then, head to Haifa; see the meticulous Baha’i Gardens, a UNESCO World Heritage Site, often described as the “eighth wonder of the world.” Then proceed to a nearby Druze Villagewhere we will learn about the Druze people and their way of life. Continue to Mitzpe Hoshaya’s Kfar Kedem, where the day-to-day life of this ancient land is recreated. Hear the words of the prophets as you thresh grain, make cheese, spin wool, press oil from fresh olives and wine from fresh grapes, and take to the trail on donkeys. Today our journey through the Golan starts with a blast. We’ll start out shooting range to test your shooting skills –this is great fun for all and a highlight of the trip. Following this, we’ve arranged for a rare treat – subject to the political situation, we’ll visit an Army Base, speak with the soldiers who defend the northern borders and observe the life of an active combat unit. Head down from the heights of the Golan, taking in spectacular views of the area as we make our way to Tel Dan, a town that has seen many different occupants in the course of 6000 years. Its setting in the lush valley supplied by the Dan River makes it one of the loveliest sites to visit in the North. Tonight we’ll enjoy a traditional Israeli dinner followed by an exciting jeep tour beginning in the twilight hour traveling into the darkness. Traveling in open jeeps during the winter, we’ll hear the sounds of the night and observe the active wildlife. Returning from this exhilarating ride, we’ll head for a cosy get together around a bonfire “Kumzits” to roast some marshmallows while we star gazing into the glorious Israeli skies. Following breakfast and hotel checkout, proceed to Safed, the ancient city that was home to the mystics of the Kabala. Wandering the twisting alleyways, you’ll encounter tiny, historic synagogues and have an opportunity to visit the galleries of Safed’s celebrated artists’ colony. Drive through the Jordan Valley, homeland of the Prophet Elisha, to Beit Shean. Visit the largest excavated Roman city in the Middle East that was home to approximately 40,000 people. See the Roman temple, artisan workshop, public baths and a magnificent amphitheater that is still used for performances. En route to Jerusalem driving through the Judean Desert Road. Upon arrival in Jerusalem, stop for a ceremony of Shehecheyanu, a blessing that celebrates special occasions in thanks for new and unique events, while taking in the sweeping views of the Old City. Check-in at hotel Orient in Jerusalem. Spend the day at leisure in honour of Shabbat. Consider resting or catching up with friends and relatives, attending a Shabbat service, taking a dip in the pool, or enjoying Jerusalem at your own pace. After another sumptuous breakfast at the hotel, take a short drive to the Ammunition Hill, and learn of the site’s epic battle between Israeli paratroopers and Jordanian legionnaires during the Six Day War – a battle resulting in the reunification of Jerusalem in 1967. Continue to Yad Vashem Holocaust Museum & Memorial- strategically situated on the green slopes of Har HaZikaron(“Mount of Remembrance”). The museum tells the story of the Holocaust from a unique perspective by emphasizing the experiences of Jewish victims and survivors using original artefacts, testimonies, and personal possessions. Tour this sprawling complex and visit the Grove of the Righteous among the Nations, the Children’s Memorial and take part in a special "Yizkor" (memorial service) in Bikat Ha Kehilot (The Valley of Communities). A winter special program will be provided for children (accompanied by one parent). Proceed to Mt. Herzl, the site of Israel's national cemetery which is named after Theodor Herzl, the founder of modern political Zionism, whose tomb lies at the top of the hill. See the burial place of Israel’s former prime ministers and presidents, prominent Jewish and Zionist leaders, as well as those of young men and women who paid the ultimate price to make the dream of modern Israel a reality. Enjoy the Machane Yehuda Market and immerse yourself in the bustling energy of Jerusalem’s Shuk (market). Wander around the many local vendors selling delicious cheeses, pastries, spices, nuts and much more. Taste halva, ice cream and fruit drinks. Enjoy the rest of the afternoon at leisure, experiencing Jerusalem at your own pace. Special dinner: drive to Genesis Land (Eretz Beresheet), located in the heart of Judean Desert. The big day is here and we’ve made sure that it’s everything you hoped for and more. The Bar Mitzva service will take place in the Southern Wall Archaeological Park (Davidson Centre)and experience a fascinating presentation describing the Temple Mount and life as it was two millennia ago. Following the service, after the photos, hugs, and joyful tears, take time to wander the site. Go ahead to the City of David, an exciting area of discovery in the heart of ancient Jerusalem- home to many of the most impressive finds of recent years. A true highlight of the tour is a visit to the underground water system including brand new discoveries from the Canaanite Period. While enjoying the winter in Israel, you might explore the cool wet Hezekiah’s Tunnel, or choose the recently opened (and dry…) tunnel which brought water to the city in the time of Herod. Arrive at the Kotel – the Western Wall, Judaism’s holiest site, and finish the day’s adventure walking back in time through the Western Wall (Rabbinical) Tunnels, a fantastic route running under the Old City. Tonight we’ve planned a Festive Bar/Bat Mitzvah celebration in honour of the children’s hard work and the dedication they have shown. Enjoy a specially arranged dinner planned around the freshest of local bounty and live entertainment (subject to group size). It will be a night to remember…. Following breakfast at hotel, descend through the Judean Desert to the Dead Sea, the lowest point on Planet earth. First stop at Ein Gedi Nature Reserve where the landscape and climatic conditions have created an ecosystem of springs, waterfalls and pools surrounded by lush greenery in the desolate desert setting. Enjoy an opportunity to cool off in the refreshing pools and waterfalls of this unique oasis. Next ascend Masada by cable car, where the palace of Herod, the ancient synagogue and the remains of the Roman siege camps, offer a marvelous chance to reflect on our shared history. Descend Masada and drive to one of the hotels in Dead Sea for lunch and swim; experience will be unlike any other. Floating effortlessly in the therapeutic mineral-rich waters, covering each other in mud, relaxing together at the beach - all make a perfect family day to remember. Take some time to relax before returning to Jerusalem. Evening: Sound & Light show at the Tower of David Museum, a spectacular show that uses the walls of this archaeological site as the background for a virtual reality show that tells the story of Jerusalem. Following breakfast and hotel checkout, head to Tel Maresha in the area of Beit Guvrin, ancestral home of King Herod, and participate in an archaeological dig. This hands-on experience includes digging, sifting, pottery examination and a tour in Beit Guvrin National Park with an exciting crawl through unexcavated cave systems. Continue to Yad LaShiryon at Latrun, Israel’s official memorial site for fallen soldiers from the armoured corps with an open-air museum, featuring more than 200 tanks and military vehicles dating back to WWI. Explore the museum and learn of its location, which was a major battle ground during the War of Independence. For those who have midnight flight, a departure transfer will be arranged. Check-out from hotel and have a transfer to the airport for your international departure flight. Bar/Bat Mitzvah child age must be 12 or 13. Please note that the itinerary or even accommodations could change according to conditions. 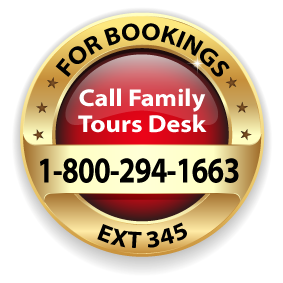 Finalize extensions of stay, additional tours and other individual arrangements. It is highly recommended to finalize these arrangements no later than 6 months before departure!! Air transportation is available from anywhere in USA and Canada. Airport transfers are included on the scheduled tour dates. Passengers arriving earlier and departing later will receive transfers if pre and post hotels are booked by Peerless. No refunds are made for missed sightseeing tours, missed transfers or unused hotel accommodations on our winter tours. Partial payments can be made in Israel Bonds! Credit cards are accepted for all deposits, payments for the tour, insurance and air transportation. 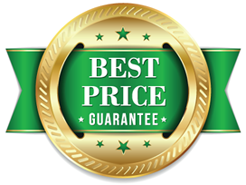 A deposit of $450 US per person is required to secure space on the tour and is not required for the Bar Mitzvah & Bat Mitzvah Celebrant (Deposit becomes non-refundable 90 days prior to departure). Insurance will be issued 90 days prior to departure to protect your deposits and subsequent payments. Must be valid six months from the date of return. If you are not a US or Canadian passport holder please check visa requirements. 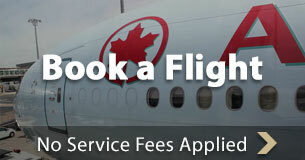 The deposit is 100% refundable up to 90 days prior to departure. Land services are subject to 50% cancellation fee up to 14 days prior to departure and 75% 14 days or less, prior to departure. Special hotel discounts for additional nights. Special packages to Eilat, Egypt and Jordan are available!! Dan Tours and Peerless Travel have gained an excellent reputation operating Family Bar/Bat Mitzvah Tours. In order to maintain this reputation, we wish to advise you that minor changes may be made in the itinerary or the accommodations. These changes may occur prior to departure and even during the Tour itself. The changes are usually a result of insufficient space, changes in site schedules, safety and ease of transportation or the inability of the supplier to provide services to meet our standards. We will make every effort to ensure that any changes made to the Tour comply with our high standards. The terms and conditions printed on the back of the Dan Tours Brochure, apply to this Tour.